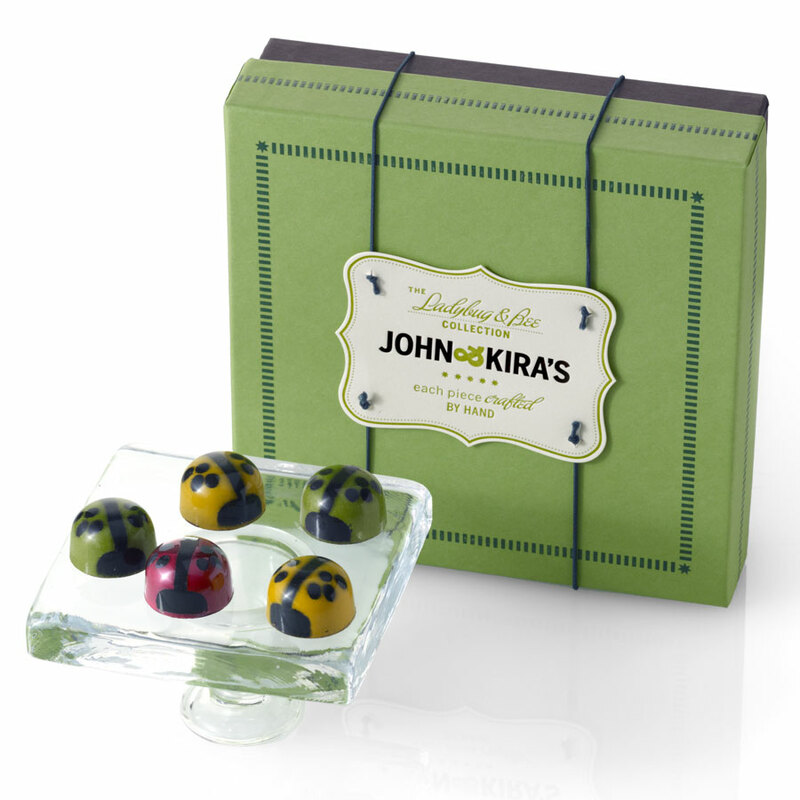 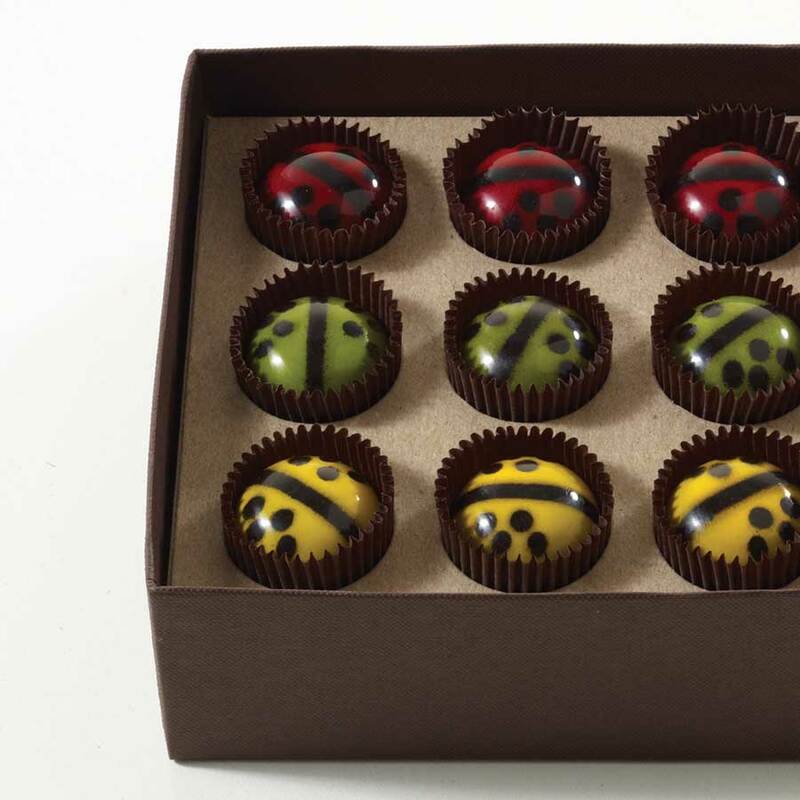 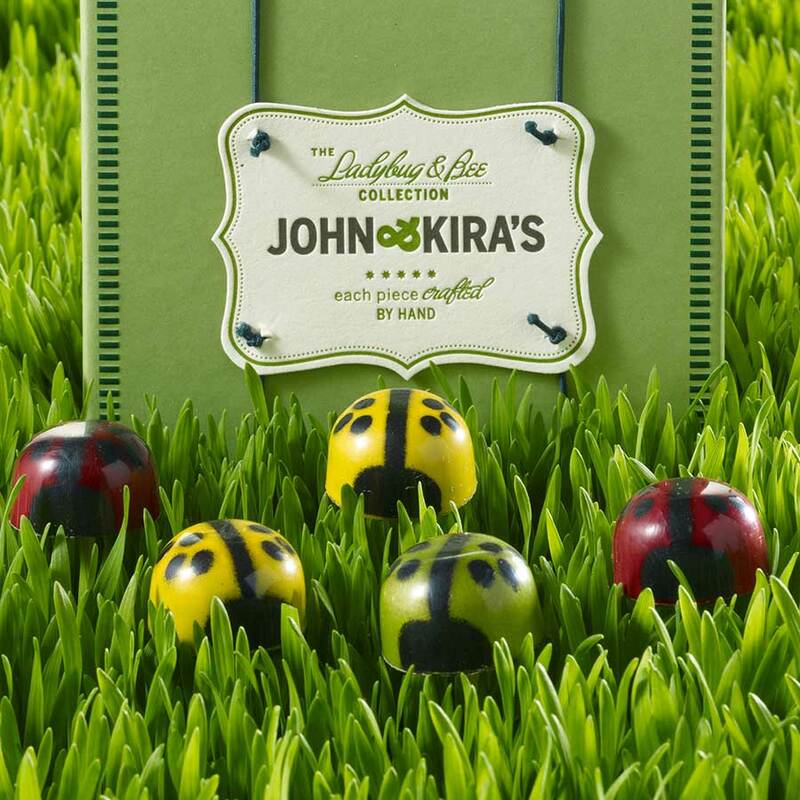 Known to bring good luck, our set of sixteen Chocolate Ladybugs makes the perfect gift for a true chocolate lover. Each unique dark chocolate shell is meticulously colored by hand then filled with our signature raspberry (red), garden mint (green) or honey lavender (yellow) Valrhona chocolate ganache. 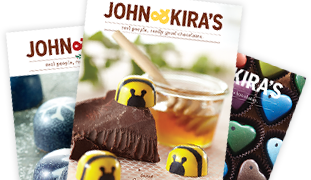 Contains: Milk, Gluten, & Soy. 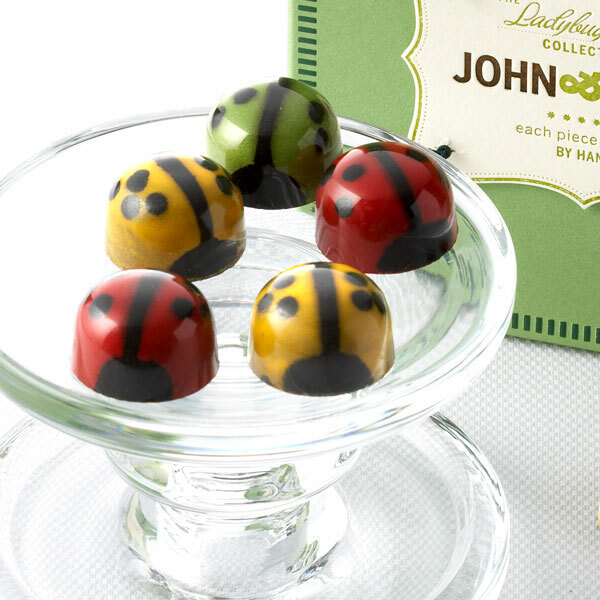 Made on shared equipment with tree nuts & peanuts. I opened the box of ladybugs on Christmas eve and they were a big hit; all flavors are worth a try. I finally found a chocolate that tastes like real fresh mint leaves. 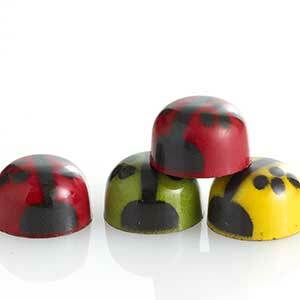 The raspberry tartness was also a big favourite. My six year old niece loved the presentation of the colourful ladybugs. Well done John and Kira.